:zoviet*France’s 5th Lp is like a hymn to the rising sun, from some alien dimension. Atonal feedback, unintelligible chanting, scraping static and dismembered zithers form a strange ritual that is both familiar and completely foreign. Dark Ambient Music is often associated with strange, distant worlds, as well as the coldness and isolation of Deep Space. Dark Ambient may, at times, recall decaying space stations, lost in orbit; spectral dimensions, outside of logic or reason; or, sometimes, alien planets and civilizations. This latter variety is often lusher, warmer, more embracing and inclusive, vs. the more austere and alienating Deep Space ambient. Often, field recordings and manipulated instruments create a lush landscape to get lost and wander around in, like The Zone from Tarkovsky’s Stalker, Boris Strugatsky’s Roadside Picnic or Area X from Jeff VanderMeer’s The Southern Reach Trilogy. With the digital origins of so many albums, many Dark Ambient records have a tendency to slide right off the ear, sounding like some musician falling asleep on some epic Massive patch, waking up, and hitting Publish. It makes it hard to relate to a lot of Dark Ambient records, not to mention what separates a Meh release from a true Dark Ambient classic. With a rooting in the post-industrial underground, as well as noise and trance music from around the world, :zoviet*France’s take on Dark Ambient is far more organic, more tactile and thus more relatable. Instead of scaring the listener off, from the get-go, :zoviet*France lure us into familiar landscapes which slowly morph and melt over time. Eostre marks an important transitory period for the industrial sound collagists, ebbing away from their earlier harsh noise releases towards a more melodic approach, while still favoring their unique emphasis on repetition and manipulated acoustic recordings. Eostre kicks off with two particularly potent longform drifts, “Shout The Storm” and the gorgeous “Cirice”, which may be one of the most melodic and emotional moments Zoviet France ever laid to tape. “Shout The Storm” sounds like some invocation from some Grecian catacomb, if it happened to have been transported to some distant planet with multiple suns, as zitherns and bone horns and chopped and screwed to abstraction, while a hollow beat pulses like the stretched skin of some cadaverous belly. Moaning vocals congeal, mid-air, almost becoming intelligible, but never quite getting there. “Cirice”, meanwhile, brings to mind modern neoclassical ambient composers like Vidna Obmana, Steve Roach, or the more mournful meditativeness of Endless Melancholy, Library Tapes, or Brian Eno‘s Ambient records from the ’70s. These two tracks set the mood for the remaining 1.5 hours, with drifting, weightless drones – like interstellar transmissions – meet brief moments of scathing static and snippets of dialogue, snatched from thin air like a distant memory or an eavesdropped conversation. Fragments come and go like dream logic, or watching weather patterns from great heights. This dreaminess is further enforced with a variety of post-processing, most notably a shimmering, glassy reverb and a preponderance of backwards tape echo, like the drum-circle-in-reverse of “Gustr”. Eostr was originally released as a double LP on Red Rhino in 1984, as one of the bands distinctive lavish deluxe editions, with an elaborate album cover of tissue and latex. Taken whole cloth, the tactile, tangible quality of Zoviet France’s noise, sound collage, and acoustic recordings – to later be mangled in post-production – along with great care being taken towards the artwork and presentation of their albums, combine to make a masterful dark ambient and noise classic, that can be revisited again and again, noticing new details and nuances along the way. This makes Eostr a perfect soundtrack for writers and artists looking to convey the alien, extraterrestrial and otherworldly. Likewise, it’s also an example of a truly great Dark Ambient record. Which marks the occasion for this post. I’ve been doing some research, this week, and have been noticing that not only is there not a consensus on TRULY GREAT DARK AMBIENT or NOISE records, there’s not a lot of speculation as to what exactly makes them so successful. Nobody’s taking these obscure genres seriously enough to truly delve deep and dig. If allowed to continue, non-commercial genres, like Dark Ambient and Noise, will either disappear completely or become caricatures of themselves, repeating previously transgressive actions over and over until they become a cartoonish parody of themselves. 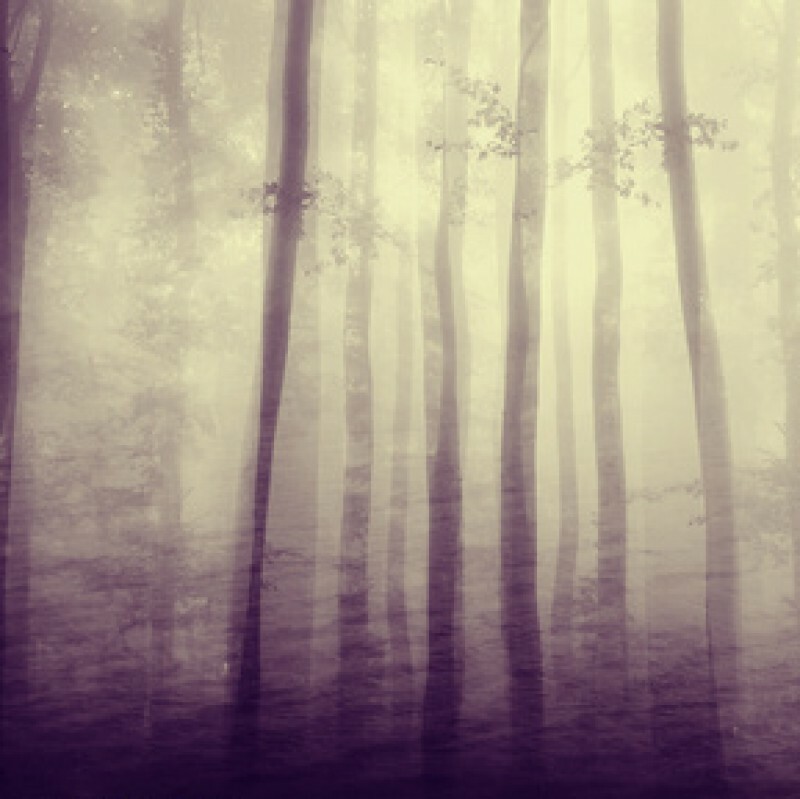 So, my question is twofold: One, what are some classic Dark Ambient and Noise (of all kinds) records you’d like to see covered on Forestpunk? And, to follow, what are some other releases in line with :zoviet*France and Eostr? I hear shades of scraping, rumbling, tactile noise artists like Jeph Jerman and his Hands To project. I hear echoes of post-industrial art terrorism like Throbbing Gristle and even some fourth world mysticism from the likes of Can or Popol Vuh, both of whom were an acredited influence on ZF. For those of us who love to meander and explore, who long for the alien and the undiscovered. For those who believe that the best has not yet been made, and that Dark Ambient, Noise, and any other abstract or non-commericial genre can be elevated to something truly sublime, we share our love, our desire and energy. We delve into the darkness, and report back with what we find. This entry was posted on November 20, 2016 by forestpunk in 66.6 series, album reviews, Classic Albums, Dark Ambient Classics, Noise Classics and tagged '80s, '80s music, 66.6 series, acoustic, album cover, alien, Dark Ambient, Dark Ambient Classics, Dawn, Easter, electroacoustic, electroacoustic improv, Forestpunk Classics, fourth world, good graphic design, graphic design, ishtar, manipulated, noise, Noise Classics, organic, Ostara, otherworldly, post-industrial, post-punk, ritualistic, ritualistic noise, Sound Collage, Springtime, Sunrise, synth, The Vision And The Voice, trance, wheel of the year.